HTC Greyline™ 450 is a single-phase, planetary grinder with three grinding heads and a counter-rotating grinding wheel for a stabile grinding without lateral forces. It works equally well for concrete grinding and floor prep as it does for grinding/sanding of wooden floors. The machine separates for easy transport. 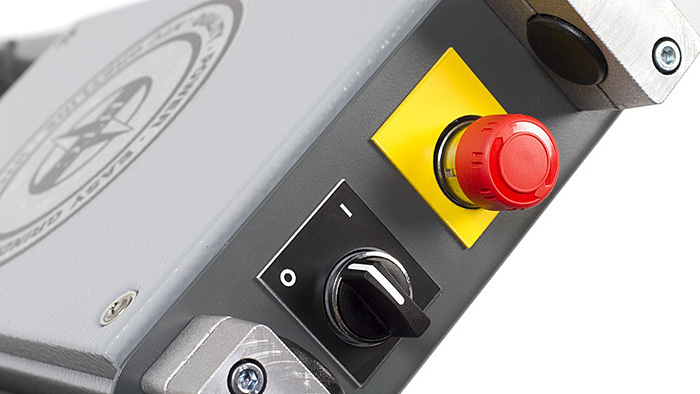 The machine is also available with a more powerful motor (2,2 kW, 16 Amp). This version is called HTC Greyline™ 450 HD. Clif Rawlings at HTC, Inc is talking about the new floor grinding series HTC Greyline™. 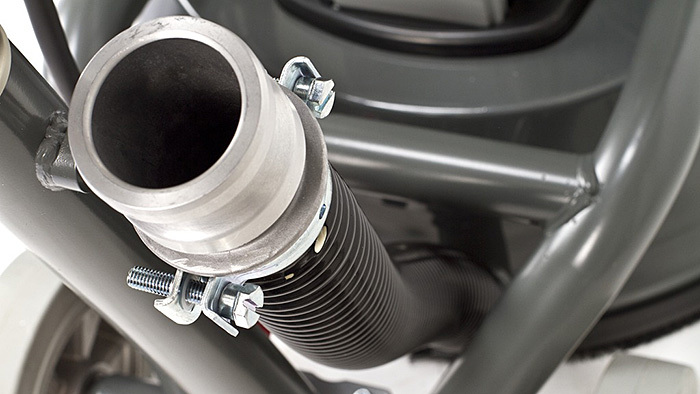 HTC Greyline™ was launched during 2010 at Bauma in Germany. The new floor grinding series HTC Greyline™ is here presented by Clif Rawlings. HTC Greyline™ was launched during 2010 at Bauma in Germany. HTC Greyline™ literally means easy grinding. Select and attach your tools, plug the machine to the wall & start grinding. Three standard tools in different grit sizes for removal of coatings and leveling of concrete are all the tools needed, it can’t be easier. 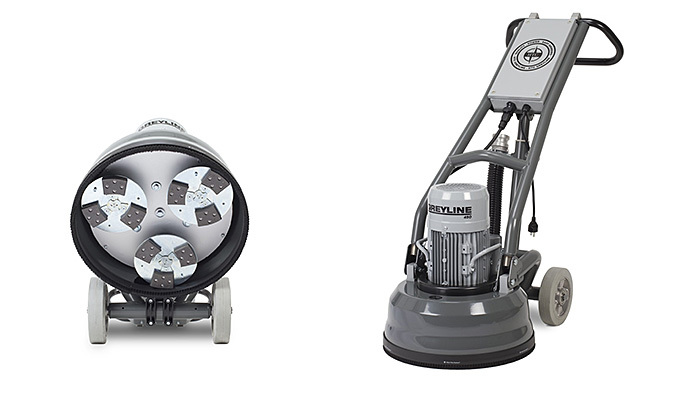 All floor grinders in the HTC Greyline™ series separates for easy transport. All grinders in the HTC Greyline™ series come with a floating cover. The floating cover simplifies handling of the machine and creates a better dust absorption. No need for a separate splash guard. The robust and sturdy chassis makes the machines perfectly balanced which is important when grinding but also simplifies machine handling for tools change etc. 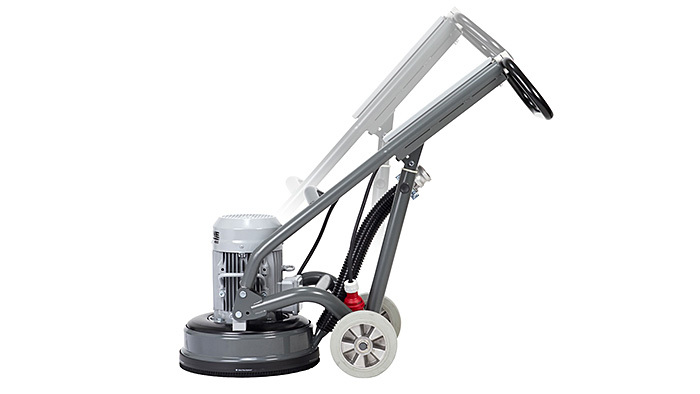 The floor grinder’s chassis and handle can easily be adjusted to fit your preferred working position. HTC recognize the value of good ergonomics.